The Roland SPD-SX is one of the best and most popular high-end sample pads around. In this article, we’re going to dive into it in more detail. 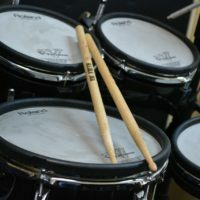 The release of the original SPD-S caught the drumming world by storm, it became very commonplace to see drummers using these to trigger playback tracks, loops, and samples. The Roland SPD-SX built on top of this. 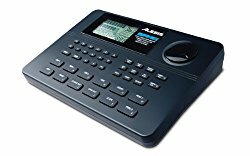 These sample pads are not cheap, but what you get is top class build quality and reliability that you won’t get from cheap, entry-level models. If you’re really serious about using a sample pad along with your drum set or production rig, then the SPD-SX is essential to have on your shortlist. It’s very easy to get started with the SPD-SX. It’s a standalone sample pad, so it houses it’s samples in internal memory. Since it is much more than drum pad, many DJs are also choosing it instead of other controllers and samplers on the market. The SPD-SX comprises of 9 pads, 3 of which are small pads at the top (designed to be hit with the shoulder or shaft of the drumstick). The compact and sleek all-black finish with red lights that illuminate based on the duration and amplitude of samples is perfect for stage playing, which is great for difficult monitoring situations. The LCD menu and navigation on the device is very quick, and changing between kits is done very quickly (something which is not often the case for cheap sample pads!). The build quality on this device is fantastic. Each of the pads are separate and there is never a problem with cross-talk on these professional pads. The sample pad comes with a number of pre-programmed kits, but it’s potential really comes in it’s customization, which you can store a large amount of sample thanks to a generous amount of storage. You can quickly load customized samples with multi-pad sampling functions. You can easily stream an MP3 player inside to record and chop samples based on your preferences. 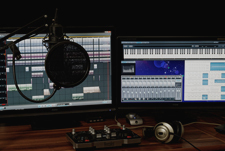 In case that your samples are on PC or laptop, you can use a USB thumb drive or USB cable directly to the computer so that you can manage samples by using native software. When it comes to additional features, you will be able to install two dual-zone external trigger inputs (for example, snare pad, kick pad, etc). You could connect up to 4 external single-zone pads instead of 2 dual zone ones, but you will need to get your hands on extenders for this. There are numerous built-in effects to help you get the sound you want. It contains effects such as delay, EQ filter and looped and you can manipulate it on stage in real time so that you can really have fun and play live. To hear how it sounds, you should visit this video! This question comes up all the time. 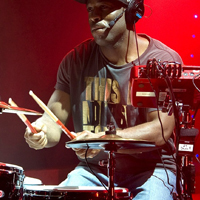 Roland positioned the Roland Octapad very differently to the SPD-SX. The SPD-SX is a sample pad, it’s built to store and play custom samples, while also containing a bunch of other great features. It’s extendability to other drum pads and pedals are somewhat limited to 2 dual zone pads (or 4 pads if you use separate splitters). 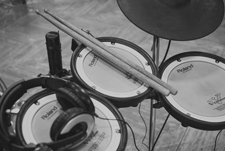 The Roland Octapad is a percussion pad and it is more suited towards drummers and percussionists looking to add electronic flavors into their setup. 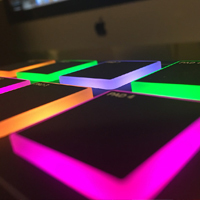 The Octapad allows for a much greater amount of extension options (including hi-hat inputs) and includes great phrase looping to allow you to play custom drum and synth loops on the fly across up to 3 different kits within the device. However, the Octapad does not include custom sampling. 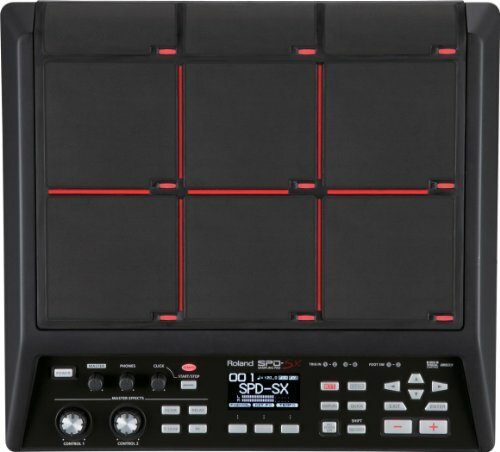 Roland very clearly positioned the features of the SPD-SX and the Octapad in different directions. Either way, there could be a place for both of these devices in one setup. 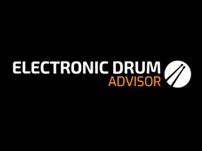 It is essential to understand that Roland SPD SX drum controller comes with high rankings, which is a vital consideration when choosing the best one for your particular requirements. Value For Money – 9/10 – Don’t get us wrong, the Roland SPX-SX is an expensive device, but you get what you pay for in this instance! You get a top class sample pad that can stand years of use on the road. Features – 9/10 – This device is one of the most popular on the market and it contains great custom sampling, recording, and effects features. Playability – 8/10 – Velocity-sensitive pads and very easy to play on. We’re only docking some marks here simply because they could have put more extension options to include other pads. 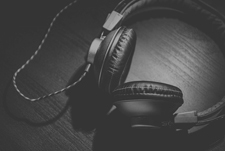 Sound Quality – 9/10 – The sound quality is fantastic, and samples are all housed internally. We’re only docking a few points here because it could have more out-of-the-box samples. The Roland SPD-SX is often the first thing that comes to mind when people talk about Sample Pads. Roland have cemented themselves into the electronic drum pad market with these devices. This sample pad is a fantastic device that will withstand long tours, and give you access to sounds that you would never be able to replicate on an acoustic drum set.